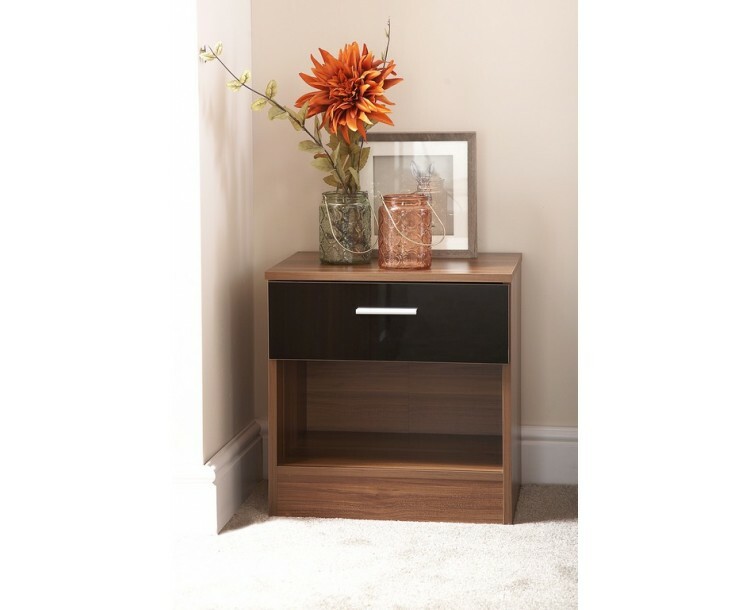 Why not complete your Ottawa Bedroom Set with our bedside cabinet in Black Gloss and Walnut? 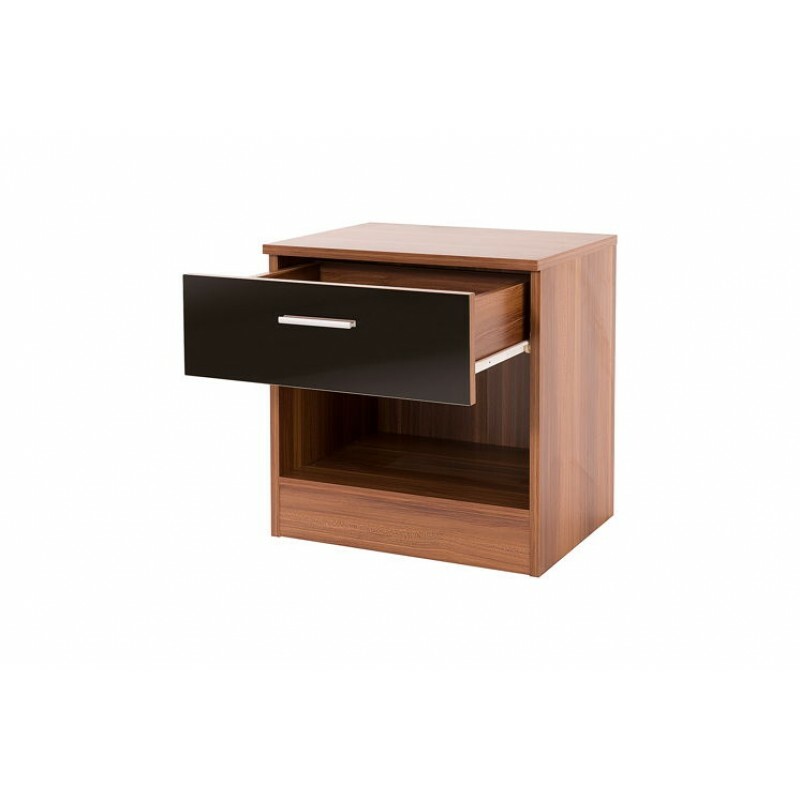 With a drawer and an undershelf, your possessions will be easily accessible and displayed in style. The top of the bedside cabinet is perfect for books, photo frames and lamps. 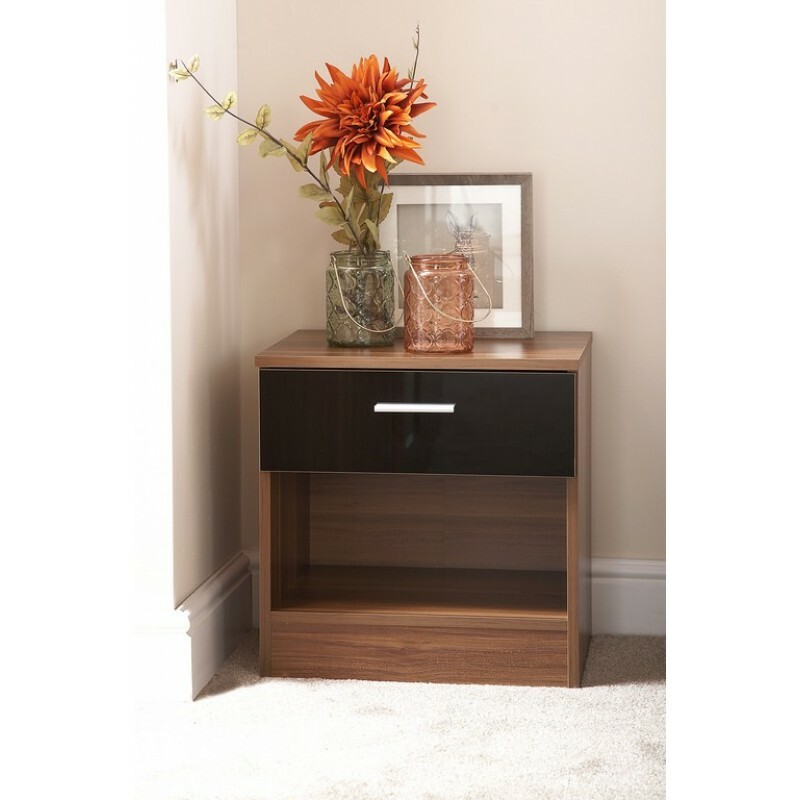 This bedside cabinet will certainly bring an air of elegance and class into any bedroom. Crafted from strong particle board and veneer. All deliveries to England, Wales and selected areas in Scotland will be done via our third party national courier delivery service, all other areas please contact us or see our Delivery Terms & Conditions for more information. 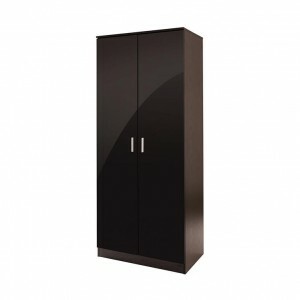 The Ottawa range is an ideal choice for all ages, from children to teenages and ..